The healthcare sector is one of the most lucrative places to invest in the United States, and it's about to get even more revolutionary thanks to CVS Health Corp. (NYSE: CVS). But some investors are abandoning the top healthcare stocks in the wake of a big announcement from Amazon. They reason a disruptive giant like Amazon will do to healthcare stocks what it's done to brick-and-mortar retail stocks. That's simply the wrong way to look at it. 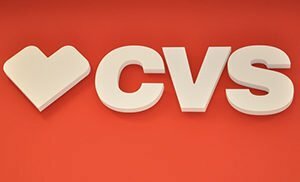 While we believe the healthcare sector is ripe for disruption, it's actually going to come from CVS, not Amazon. Amazon's acquisition of PillPack, an online pill-distribution company, grabbed headlines across the financial press for its potential to disrupt the healthcare industry. The St. Louis Post-Dispatch reported in October 2017 that Amazon secured approval in 12 states to operate as a wholesale pharmacy. The company's entry into the pharmaceutical distribution sector had a hand in the three biggest U.S. pharmacy stocks taking nearly a 10% hit over the past year.